Dubai, UAE, 8 October 2018: As of October, AXOR, the design brand of the Hansgrohe Group, will be the official partner of Design Hotels™. This partnership enables member properties of the Design Hotels™ community to take advantage of recommendations for bathroom interior design provided by their marketing platform. With this step, the two companies will merge their 25-year histories of pioneering and marketing unique design objects, and promoting architecturally sophisticated, privately owned hotels. 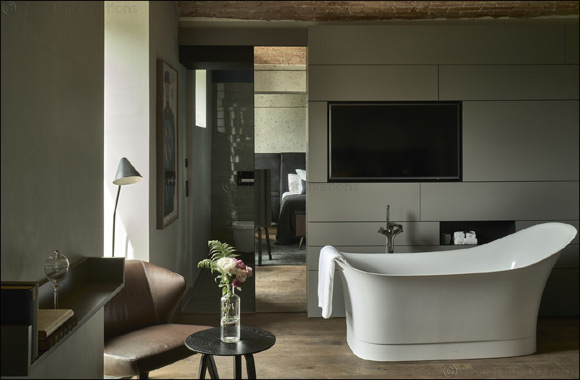 From Hong Kong to Mexico, AXOR taps, showerheads and accessories are regularly featured in Design Hotels™ member properties; for example, in the Hotel Liberty, a former prison in Offenburg/Germany, the Les Bains in Paris, or the Chetzeron in Crans-Montana, Switzerland. The ambitious standards set by both brands for their products and their member properties rely on integrated design concepts and the ongoing commitment of their creative partners. The two brands will be present together for the first time at the Design Hotels™ arena* in Copenhagen from 10-12 October. AXOR's current product portfolio consists of around 2,000 products, all unique in their philosophy, their formation, and their style. Innovative and timeless iconic products for the sink, shower, and bath. From classic to avant-garde, AXOR collections, programs, and tailor-made products can be combined in many different ways to express your very own personality. The result is an individualized bathroom of superior quality. It all began with the AXOR Starck collection, at home in design bathrooms around the globe for more than two decades. For its 25th anniversary, AXOR presented AXOR MyEdition – a new dimension of individualization developed by Phoenix Design – at Salone del Mobile. “The wide range of styles of the AXOR collections invites us to explore what we find inspiring, enabling us to discover our own perfect and individual solutions for the design of a luxurious bathroom or kitchen. No matter what the AXOR customer chooses: an uncompromising claim to perfection in design, craftsmanship and functionality extends through our entire portfolio of taps, showers and accessories,” explains Olivier Sogno, VP Brand Management, Hansgrohe SE.